Barceló Maya Grand Resort is already one of Riviera Maya’s greatest destinations, currently comprised of Barceló Maya Palace, Barceló Maya Beach, Barceló Maya Caribe, Barceló Maya Colonial and Barceló Maya Tropical. 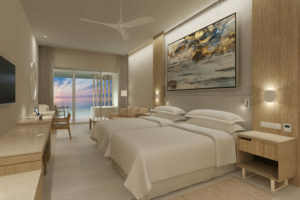 But in December 2019, the all-inclusive resort complex will become one of the largest ones in the Riviera Maya with the completion of Barceló Maya Riviera, its new exclusive adults-only, all-inclusive resort. 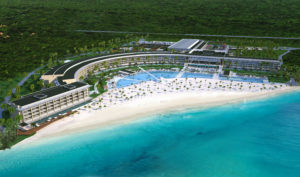 Also, in May 2020, Barceló Maya Grand Resortis slated to unveil the largest convention center in the region, Barceló Maya Arena. A combined investment of $250 million-dollar has been allocated to this expansion project. Barceló Maya Grand Resort’s expansive convention center will make this resort destination the largest meetings and events venue – the perfect place for luxury conventions of all sizes. It will boast more than190,000square feet of customizable multi-purpose space for expos, conventions and events. For gala receptions with ocean views and fresh air, events planners will love the 3,400 square feet terrace. In the underground dining venue, attendees will enjoy exceptional food and ambiance. For wedding planners, the gazebo is of special note; it is located near the resort’s infinity swimming pool, boasting stunning ocean views and offering the chance for a truly spectacular ceremony. MADRID, Spain and SOUTHLAKE, Texas – March5, 2019 – Barceló Hotel Group, a leading tourism company in the Spanish market and one of the largest worldwide, has selected Sabre Hospitality Solutionsas distribution provider and business partner for its hotels globally. Under the landmark agreement, Barceló Hotel Group, part of the larger Barceló Group, will use Sabre SynXis Platform, including SynXis Central Reservations (CR), for their new distribution strategy. The group will benefit from the Sabre SynXis Platform’s advanced technology to update its operations and grow its footprint globally, while securing an effective, future-ready channel strategy that will help maximize revenue of both direct and indirect channels. Sabre and Barceló Hotel Group will also work together to streamline the traditionally manual tour operations reservation process by introducing an industry-first automation process within SynXis Tour Manager. Announced in mid-2018, the solution connects hundreds of tour operators for distribution through the SynXis Platform, allowing hoteliers to manage their allotments, inventory and rates in real time for the leisure and tour operator segment. Additionally, Sabre’s full range of digital and analytical services are among the solutions Barceló Hotel Group can use to identify opportunities for revenue and guest experience improvements, thanks to actionable insights. With its SynXis Central Reservations, SynXis Booking Engine and SynXis Tour Manager solutions, Sabre will support Barceló Hotel Group’s growth by helping capture more bookings, leveraging the power of GDS and other third-party distribution channels via the Sabre travel marketplace, as well as through direct channels. Prior to confirming the agreement, Barceló Hotel Group requested an evaluation of potential providers by everis, a third-party NTT DATA company. After rigorous research regarding functionality, technology, strategic approach and cost,the everis tourism digital distribution team confirmed Sabre as the best qualified solution to meet current and future hospitality business needs while aligning with Barceló Hotel Group’s strategic plan and goals. SynXis Central Reservations provides distribution of rates and inventory through online and offline distribution channels; connectivity to global distribution systems, online travel agents, website and mobile booking engines; and seamless integration of critical property, revenue management, loyalty and content systems, providing holistic views of hotel guests and revenue. It is powered by the SynXis Platform, an open-architecture platform that integrates critical hospitality systems to optimize distribution, operations, retailing and guest experience. Sabre Hospitality Solutions currently has more than 40,000 properties leveraging its SynXis technology to power distribution, reservations, property management, retailing and guest experience solutions. Barceló Hotel Group is the hotel division of the Barceló Group, which is the 2nd largest chain in Spain and the 29th in the world. 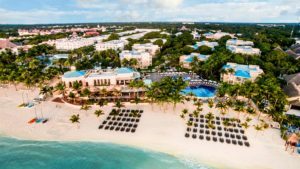 It currently operates 250 leisure and city hotels with 4 and 5 stars, and over 55,000 rooms in 22 countries, all marketed under four brands: Royal Hideaway Luxury Hotels & Resorts, Barceló Hotels& Resorts, Occidental Hotels& Resorts y Allegro Hotels. 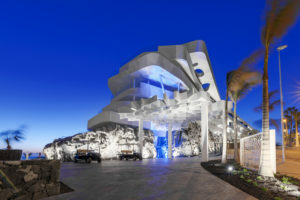 MIAMI –Royal Hideaway Playacar is honored to be included in Forbes Travel Guide’s 2019 Star Awards in the category of “Recommended Hotels.” The recognition further solidifies the property’s status as one of the very best adults-only and all-inclusive resorts in the Riviera Maya. Since 1958, this prestigious award hasshowcased the best luxury hotels in the world, which are analyzed and qualified under an extensive list of strict parameters within the Star Rating system. Royal Hideaway Playacaralso boasts the AAA-Four Diamond award distinction and is a member of Leading Hotels of The World. Resort guests can enjoy daily concierge service, making it easy to make dinner reservations, arrange for private transportation or additional activities. And there are plenty of activities to choose from. During their stay, guests can try their hand at sailing or hop on a catamaran — one free daily rental is included for each guest. Basketball, ping pong, and two tennis courts are also available, and guests can borrow bikes and kayaks from the property as well. Thanks to the property’s scuba diving center, it is also possible to experience the thrills of scuba diving. Guests can get certified, attend classes and either rent or buy everything needed at the PADI 5-star shop. • High Tea: An elegant mid-afternoon break, Royal Hideaway’s High Tea service is prepared daily on a terrace with sweeping views of the surrounding landscape.Enjoy a glass of sparkling wine, a cup of gourmet coffee, or some delicious English tea paired with canapés, specialty sandwiches and handcrafted cakes. • Royal Club Theater:Each night, the spacious Royal Club Theater hosts exceptional performances (live music, dance and beyond), not to mention an exquisite menu of authentic Mexican favorites during its popular “Mexico Show.”Get dressed up in your finest evening wear and enjoy an elevated date night. • Chef’s Table:The resort’s unique Chef’s Table experience at Las Ventanas restaurant is particularly outstanding as it is the only one in the entire Yucatan Peninsula. This experience gives participants a chance to interact with charismatic Michelin-Star Executive Chef Sanchez while he prepares different courses for them explaining all techniques and ingredients in detail, as well as provide anecdotes about the creation of the dishes. The Chef’s Table consistsof a9 course meal with wine pairings, and is also available to book by visitors in the area. • Allegria Bar:After dinner, guests will discover evening excitement at Allegria, including Spanish guitar concerts, karaoke, salsa dancing lessons and much more. And you’ll love Allegria’s cocktails. Forgoing the tropical clichés like daquiris and piña coladas, the offerings here lean more toward elegant libations, such as the refreshing Green Juniper (Tanqueray gin, Cointreau, cucumber juice, Perrier, basil-rosemary syrup, basil leaves and cucumber slices) and the complex Smoky Mexican Pepper (Don Julio Blanco tequila, mezcal, Agavero blue agave tequila, pineapple, coriander leaves and lime). 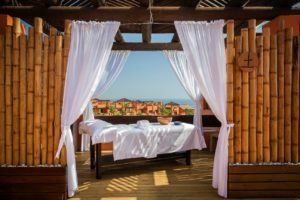 • Under The Stars Massage at the Retreat: Royal Hideaway Playacar’s world-class spa offers a signature Under the Stars massage that is indulgent and unforgettable. The private outdoor treatment takes place on a sleep-approved massage table next to a beautiful spa pool lighted only by candlelight and relaxing music. 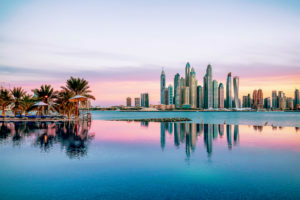 January 2019: Barceló Hotel Group has announced the first Royal Hideaway Hotel opening in the region, after the signing with owning company Seven Tides for the management contract of Dukes Dubai. The Palm property will undergo a rebrand this February to become Dukes Dubai, a Royal Hideaway hotel. The signing was held in Dubai, United Arab Emirateson the 26th January, between Jaime Buxó, Chief Development Officer at Barceló Hotel Groupand Abdulla bin Sulayem, CEO of Seven Tides, and in the presence of Goulam Amarsy, CEO of Barceló Gulf, partner of Barceló Hotel Group in the GCC. ‘Royal Hideway’ is the group’s five-star brand, which boasts an international portfolio of exquisite properties, situated at the world’s most idyllic locations, offeringprivacy in luxury settings. 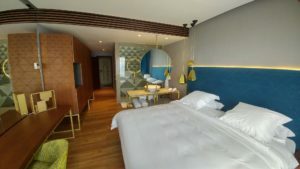 The deluxe offering from the Spanish hospitality giant has become a firm favourite amongst global travellers. 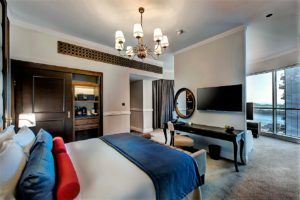 Dukes Dubai, a Royal Hideaway Hotel is located alongside the beautiful coast of the Arabian seas, featuresexquisite design and extraordinary amenities that are unique to the property. The exceptional combination of Barceló’s world-class brand, the extensive culinary and leisure activities at the resort, will provide upscale travelers, with the opportunity to experience the best from UAE’s leading tourist destination. Based in Dubai, United Arab Emirates, privately owned Seven Tides is an internationally oriented holding company established in 2004. Currently focusing on hospitality and real estate sectors, Seven Tides thinks progressively, works creatively, partners strategically and acts quickly. The result is a current portfolio of offerings from landmark hospitality acquisitions and commercial buildings to residential towers and multi-use complexes in the gateway cities of London and Dubai. On 23 January, at the 39th edition of the FITUR, the Barceló Hotel Group revealed its results of their 2018 results, which included 13 new hotels, as well as announced its expansion plan for 2019. 2018: The Barceló Hotel Group becomes one of the leading groups in Spain and ranked amongst the Top 30 Internationally. 2018 saw the Spanish hotel group exceed its rate of growth in comparison to recent years. With an additional 13 new hotels and 2,519 rooms, the group now has a total of 249 hotels and 55,014 rooms across 22 countries. These figures now place the business as the third largest hotel group within Spain and 29th internationally. Notable news from 2018 includes the expansion into Portugal; becoming a prominent hotel group in Morocco and developing a presence in the Middle East, amongst others. Third biggest hotel chain in Spain and the 29th biggest in the world. The Group currently operates 249 city and leisure 4 and 5-star hotels,and nearly 55,000 rooms distributed among 22 countries worldwide and marketed under 4 brand names: Royal Hideaway Luxury Hotels & Resorts, Barceló Hotels & Resorts, Occidental Hotels & Resorts and Allegro Hotels. 15 January 2019. 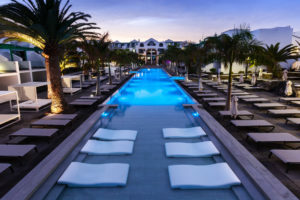 If in 2018 the Barceló Hotel Group highlighted its focus on Morocco by adding three new hotels in Tangier, Agadir and Casablanca, it has kicked off 2019 with a new symbol of that commitment by investing €35 million to purchase the Barceló Palmeraie, a stunning 5-star resort with 252 rooms, located north of Marrakesh and adjacent to a famous 17-acre grove filled with olive and palm trees. 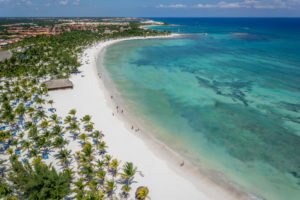 The hotel group has also bought two pieces of land: one next to the resort for 120 additional rooms and the other only three kilometres from the city centre, where the Barceló Hotel Group plans to build a new 5-star hotel with 160 rooms. 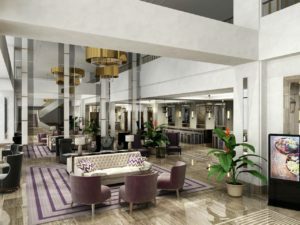 With this new project, the chain has expanded its offering in Morocco for a total of six hotels and 1,136 rooms located in some of the nation’s most important destinations such as Casablanca, Fez, Tangier, Agadir and now Marrakesh. Projects: The Barceló Palmeraie’s expansion with 120 new rooms and the construction of a new 5-star hotel with 160 rooms in Marrakesh. 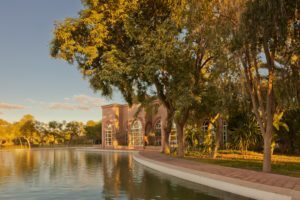 The area north of Marrakesh, in the heart of its renowned 17-hectare palm grove next to Palmeraie Golf course and only 11 kilometres from Marrakesh-Menara airport, is home to one of the most emblematic resorts in the region: Barceló Palmeraie. This spectacular 5-star establishment has 252 rooms and suites. It wins the hearts of visitors with its architecture inspired by ancient Moroccan palaces; the beauty of its impressive 140,000 square metres of gardens; two vast outdoor pools; and its refined culinary offering, which includes a select wine cellar, an elegant tea room and two exquisite restaurants, one specialised in Moroccan cuisine. Barceló Palmeraie is a peaceful oasis that is perfect for family holidays thanks to the children’s facilities; for romantic getaways in which to enjoy the spacious rooms and fully-equipped wellness centre covering more than 500 square metres and featuring four treatment rooms, a hammam and a state-of-the-art gym; and for hosting all types of events in the resort’s 10 meeting rooms with space for up to 400 attendees. 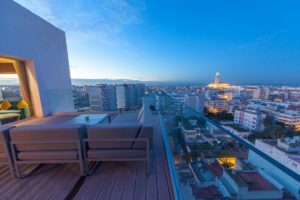 London, November 2018:The Barceló Hotel Group is delighted to announce the opening of Barceló Anfa Casablanca in Morocco. 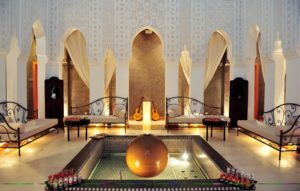 This new five-star hotel is the groups second hotel in the city and fifth hotel in Morocco. 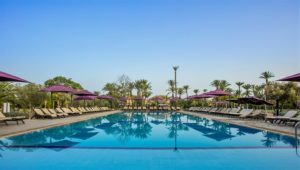 It joins the existing hotels within the portfolio which include Barceló Fès Medina, Barceló Tánger, Allegro Agadir and Barceló Casablanca. Located on Boulevard Anfa, in the heart of the economic hub of Casablanca, this 206 room hotel has an Art Deco design which reflects the splendour of the city through its warm colour scheme and geometric patterns. Designed with business and leisure guests in mind, the charming terrace and the outdoor swimming pool are the perfect places to relax and unwind after a morning spent exploring the city or a day spent in meetings. 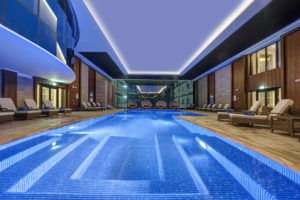 Guests will also love the 450 metre wellness centre which is fully equipped with a traditional hammam, steam room, gym and five treatment rooms. When it comes to dining, guests can expect international cuisine with Moroccan, French and Mediterranean influence at Acajou restaurant, whilst lighter meals can be enjoyed at the outdoor Snack Bar, next to the swimming pool. With seven multifunctional meeting rooms and a banquet room, which has a capacity to host up to 350 people, this state-of-the-art hotel is perfectly suited to accommodate events of all kinds. 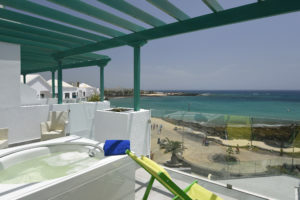 Double room on a B&B basis from 163 euros. 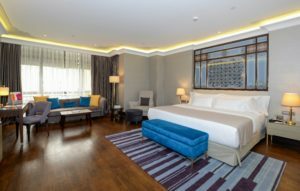 London, November 2018:Barceló Hotel Group is delighted to announce the opening of Barceló Istanbul today Monday 26 November. This latest addition will be the group’s third hotel in Turkey and it will sit alongside Occidental The Public and Occidental Pera Istanbul. The modern and elegant five-star Barceló Istanbul is located in the Beyoglu district, next to the emblematic Taksim Square. With 270 spacious rooms and suites, a well-equipped fitness centre and MICE facilities, it is perfect for business and leisure guests alike. The 1,500m2 wellness centre, on the eleventh floor, has two traditional Turkish hammams as well as a Roman hammam and sauna. The rooftop gym is the only one of its kind in the city. Here, guests can relax and unwind on the terrace which is home to two hydrotherapy baths. A range of beauty treatments and massages are also available. The B-Heaven rooftop bar commands dramatic views of the city’s skyline and provides the perfect spot for exclusive parties and events. A programme of events will rotateon a monthly basis to attract guests and locals alike looking for something a little different. For MICE guests, the hotel has four meeting rooms and an Executive Lounge with the capacity to host up to 600 people. When it comes to dining, there are two restaurants and two bars, in addition to the Executive Lounge. Guests can expect a fusion of local cuisine paired with international gastronomical delights. 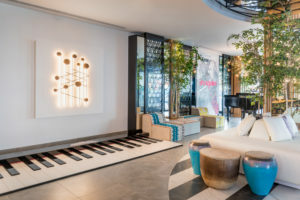 The ‘B-LikEat’ healthy breakfast concept and ‘B-Locals’ concierge offering, whereby guests can be given tailor-made tours from locals, will also be availableat Barceló Istanbul. 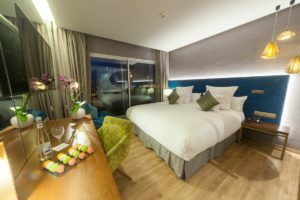 London, 2018: This year Barceló Hotel Group has decided to extend the highly anticipated Black Friday and Cyber Monday into ‘Seven Days ofBlack Friday deals’,meaning consumers now have even longer to grab aholiday bargain and book a stay at one of their much-loved hotels across Latin America, the Caribbean, Europe and Middle East. These exceptional offers will be available to book from 19 – 26 November and valid for holidays taking place through 2019. Up to a 55% discount will be applied for stays at hotels in Mexico, Dominican Republic, Cuba and Costa Rica and up to a 45% discount will be applied for stays in hotels in Spain, Europe and the UAE, where the Barceló Hotel Group have recently expanded. With over 249 hotels across 22 countries there is something to suit everyone.